I'm getting this problem during compilation. How to solve this problem? There may be other local versions of beamer-related content in your folder. This was only the first one identified during compilation. 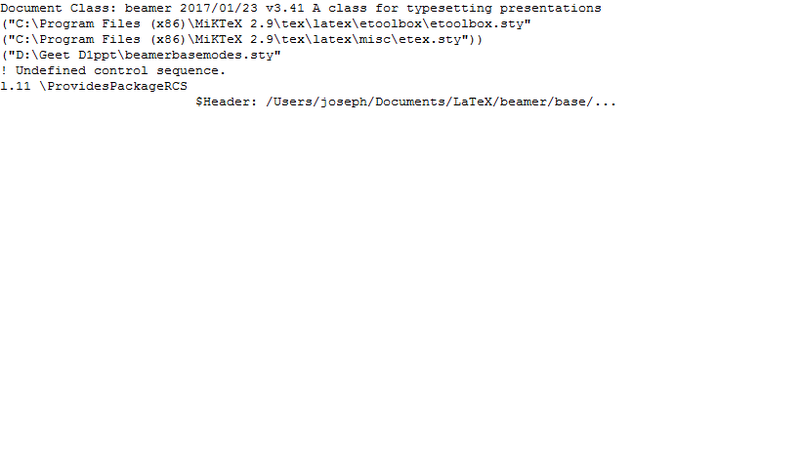 Delete beamerbasemodes.sty from your working folder (D:\Geet D1ppt) and re-compile. If errors continue, it probably means that you've installed an older version of beamer to your working folder. Remove that local installation and use the MiKTeX Package Manager (MPM) to install the appropriate versions/updates to beamer instead.